Energy supply, uses, and management in buildings for the commercial and institutional sectors. How energy can be used more efficiently in buildings for the commercial and institutional sectors. Relationships between energy and building environments, as well as basic design concepts for constructing green buildings and facilities. Different systems and equipment for buildings and manufacturing plants. This course is offered in collaboration with AEE. 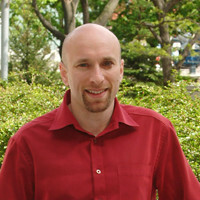 Ed Rubinstein is the Energy & Environment Manager at the University Health Network. He’s been leading the hospital’s many environment programs since 1999 and has helped UHN become a leader in greening health care. Both UHN and Ed’s leadership in the field of “greening health care” have been recognized by several awards, including from the Ontario Hospital Association, Natural Resources Canada, Practice Greenhealth and the Canadian Council of Ministers for the Environment. 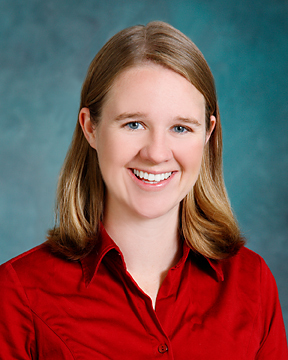 Emily is a Professional Engineer, Certified Energy Manager and Certified Measurement and Verification Professional with a Master’s degree in Mechanical Engineering and over fifteen years of energy engineering as well as people and project management. Emily is President of Thorn Associates, an energy and carbon management consulting corporation, and past Director of Energy Optimization and Management at Hatch Ltd., a 10,000 employee international engineering consulting firm. In addition, Emily is an elected Director of the Board and Chair of the Ontario Society of Professional Engineers’ (OSPE’s) Energy Task Force as well as a member of OSPE’s Audit & Finance committee. A Laureate of the RelèveTO Young Professional Award, Emily has acted as project manager, technical reviewer and energy engineer for over 70 industrial energy projects, including energy audits, energy design reviews, energy efficiency improvement projects, energy management information system studies and implementation. Emily was also a team member for Canada’s first pilot program aimed at helping companies achieve the ISO 50001 energy management standard. She began her career with five years in the fuel cell industry. If you do not meet one of the eligibility criteria above, you can still apply for an in-training certification, EMIT. In order to gain the in-training certification, you must attend a CEM preparatory training seminar, submit the EMIT certification application and pass the CEM certification examination. The EMIT certification is valid for six years, which allows you time to meet the full CEM certification eligibility requirements. BC Hydro includes the Certified Energy Manager (CEM) as the first recommended Further Education to be qualified as an Energy Manager under their Power Smart Energy Manager Program. BC Hydro includes the CEM as one of the mandatory further education requirements to become a Community Energy Manager. FortisBC lists the Certified Energy Manager as one of the required qualifications to be considered as part of their Energy Specialist Program. All of FortisBC’s PowerSense technical advisors for large commercial and industrial customers have the CEM designation. The Independant Electricity System Operator (IESO) subsidizes 50% of training fees for the CEM program under their saveONenergy Energy Manager Training Incentive. The IESO lists the Certified Energy Manager as one of the required qualifications to perform audits under its Audit Funding program. The IESO lists the Certified Energy Manager as one of the required qualifications for the funding of an Energy Manager hiring, under its Industrial Accelerator Program. The IESO requires embedded and roving energy managers to be CEM. CEM is a desired qualification for the two key energy roles at the City of Guelph. If a candidate does not have the qualification, the intent is that they will obtain it in their first year. The Government of Alberta’s Quantification Protocol for Energy Efficiency in Commercial and Institutional Buildings requires the Protocol to be applied either by a CEM or a Certified Measurement and Verification Professional (CMVP). You know the CEM is required or recognized elsewhere? Please let us know! All CEM candidates must complete the Certified Energy Manager 5-day Training Program. After completing your seminar registration, go to STEP TWO below. The exam is administered from 11:00 a.m. – 3:00 p.m. on the last day of the seminar. Within thirty days of the date of the exam, you will be notified of your score. Your CEM Application form must be submited before your score can be released. Do not call CIET about your test results before the end of the thirty-day period. If you receive a passing score and have submitted your CEM Application form, and if your file is complete including all supporting documents, your file will be sent to the Certification Board for final review. You will be notified at that time that you will receive the Board’s approval or denial within sixty days. A Certified Energy Manager (CEM) may use the designation with name on organization letterhead, business cards, and all forms of address. Certification is for individuals only. The CEM designation may not be used to imply that an organization or firm is certified. Your completed application (4 page application, employment verification and/or client verification and college transcripts) must be received at least 3 weeks prior to the date of the examination for which you wish to sit. If all of your supporting documentation is not received prior to your test date, it will not preclude you from sitting for the exam. The continuing education of Energy Managers is essential to cope with the rapidly changing field of energy management. A CEM must accumulate ten professional credits every three years and submit a completed Renewal Form to the Certification Renewal Director to remain certified. CEM renewal notices are mailed in the 3rd year of certification six months prior to the expiration date, which falls on December 31 of that year. On the first day of training, you receive your copies of the CEM workbook and the Guide to Energy Management, International Version, which are included in the course fee.